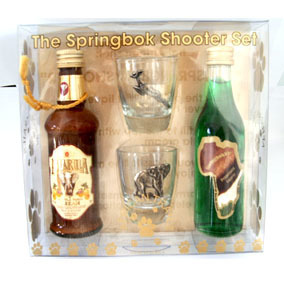 Thank you for your interest in our African Trail Shooter. Please complete your details on the 'Quick Quote' form and click the Submit Button at the bottom of the page. A customer service consultant will contact you about the African Trail Shooter with a quotation. 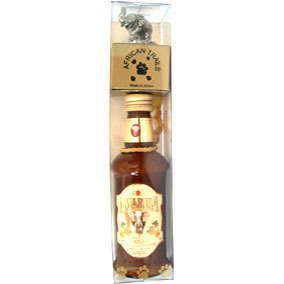 An elegant African sunset celebration with the Amarula trial shooter. 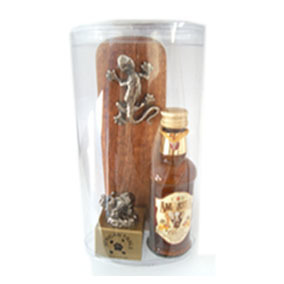 An ideal parting gift for your clientele accompanied with a small bottle stopper to act as a memento to carry with them. 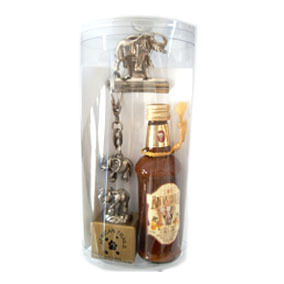 These promotional thank you shooters are ideal for African lodging and hospitality industries to bid thanks and farewell to your customers. A small sunset kiss to bid adieu to a peaceful day.